Szechrome NAS | Polysciences, Inc. This sensitive reagent reacts rapidly to produce stable colors suitable for precise quantitative determinations or rapid estimations in routine field work. 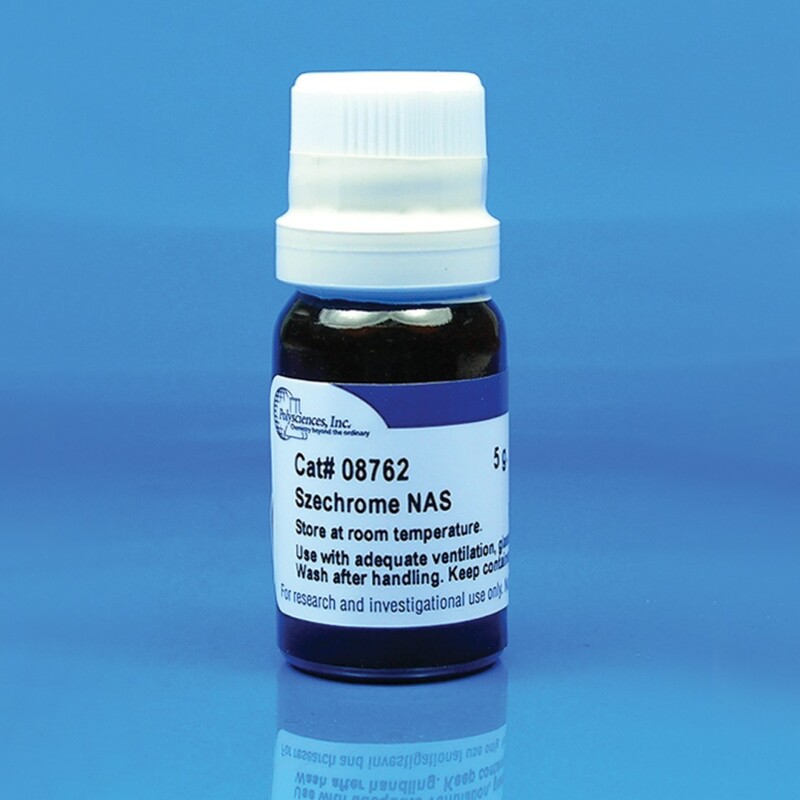 Szechrome NAS produces color reactions which are specific and proportional to the nitrate content of the sample tested. Optical density (OD) at 570nm after 5 min. development is proportional to nitrate in the range of 2-20ppm.